Geneva, 22 June 2015 - The relationship between the World Trade Organization (WTO) and the Convention on International Trade in Endangered Species of Wild Fauna and Flora (CITES) is a leading example of how global trade and environmental regimes can support each other and cooperate successfully to achieve shared goals, says a new publication launched by the WTO and CITES on 22 June 2015. CITES and the WTO: Enhancing Cooperation for Sustainable Development was launched by WTO Director-General Roberto Azevêdo and CITES Secretary-General John E. Scanlon at the WTO's headquarters in Geneva today. In their joint foreword, Mr Scanlon and Mr Azevêdo note: "In this pivotal year for sustainable development, we must keep in mind the importance of continuously strengthening multilateral and cross-cutting cooperation to tackle increasingly interconnected global challenges." 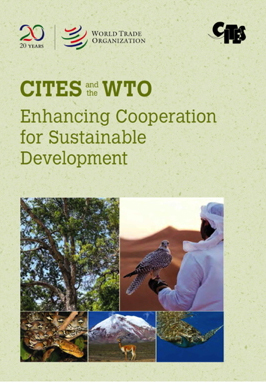 Mr Azevêdo said: "The WTO's collaboration with CITES is best understood in the context of what the founders of the WTO saw so clearly 20 years ago – that the well-being of habitats, societies, and economies are very closely linked. 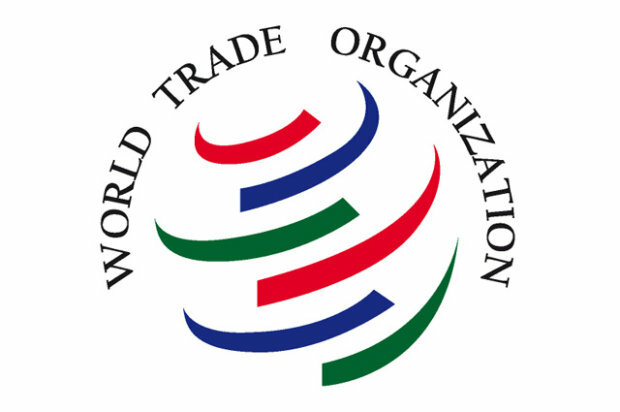 Over the years, CITES and the WTO have found pragmatic ways to collaborate in order to assist countries in identifying and harnessing win-win situations between trade, the environment and development. Both CITES and the WTO embody the belief that multilateralism and the rule of law are indispensable in tackling challenges that reach beyond national borders. This and our shared belief in the importance of transparency and dialogue make us natural partners in helping deliver on the world's common aspiration for sustainable development. "Sustainable development remains a work in progress. There are many untapped win-win possibilities between trade, the environment and development. We must therefore continue to build on the collaboration between our two organizations, guided by the need to support countries, particularly the least-developed, to fully seize the benefits that are on offer." “In this pivotal year for sustainable development, it is the right time to tell the story of our harmonious relationship over the past decades and to look forward to the future promise of closer collaboration through enhanced information and policy dialogue, technical assistance and capacity building. We spend a lot of time analysing what is not going right but don’t often pause to celebrate what is working well and why. Today we pause for a few moments to highlight what has been achieved over the past 20 years between CITES and the WTO - and the benefits to countries of our collective efforts to tackle increasingly interconnected global challenges in a coherent and effective manner”, added Scanlon.